Last week was my first experience in canning, as I canned 3 pints of homemade salsa. 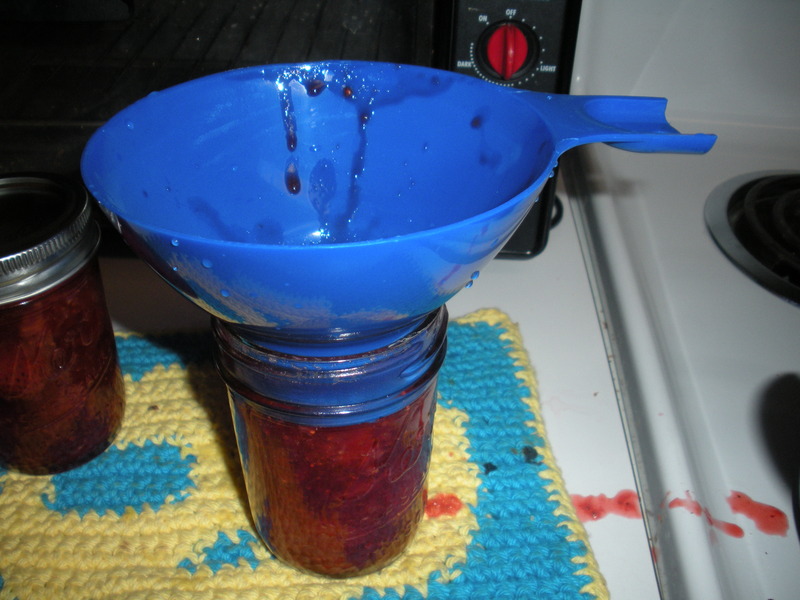 Today I tried out a recipe for 8 half-pints of strawberry jam, adapted from How to Sew a Button and Other Nifty Things Your Grandmother Knew. My version of the recipe made about 8 half-pint jars. For ingredients, you’ll need 5 pints of fresh strawberries, 4 cups of sugar, and the juice of 3 lemons (about 1/3 cup of lemon juice). For canning equipment, you’ll need a large stockpot with cover, 8 half-pint glass jars with rings and unused lids, a plastic or wire rack to prevent your jars from rattling during the canning process, a funnel and some tongs. If you’re new to canning, you can buy all the equipment as a home canning kit, which can be purchased for as little as $20 from most major grocery stores. Sterilize all of the equipment by hand-washing it in hot, soapy water before use. 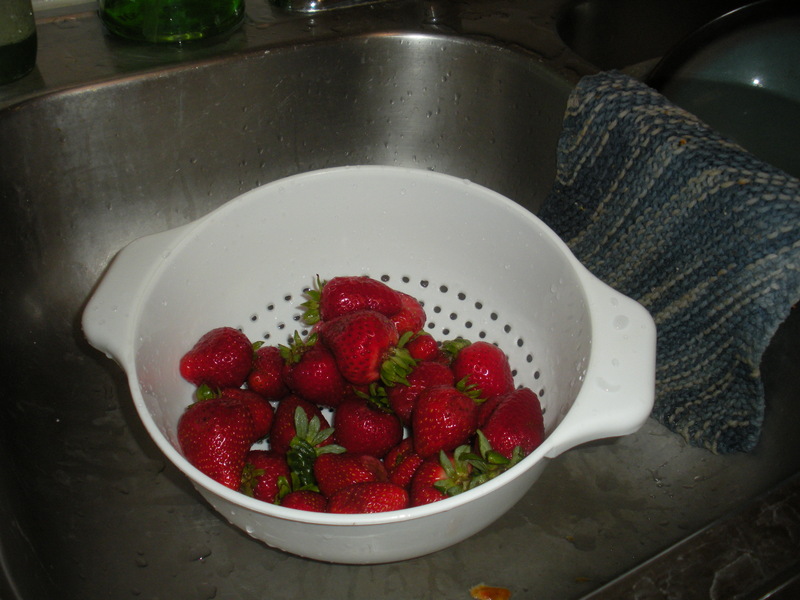 Thoroughly wash all of the strawberries, remove their caps, and place in a large saucepan. Mash the strawberries, leaving a few strawberries slightly smashed/slightly intact. Cook over medium-low heat for about 10 minutes. 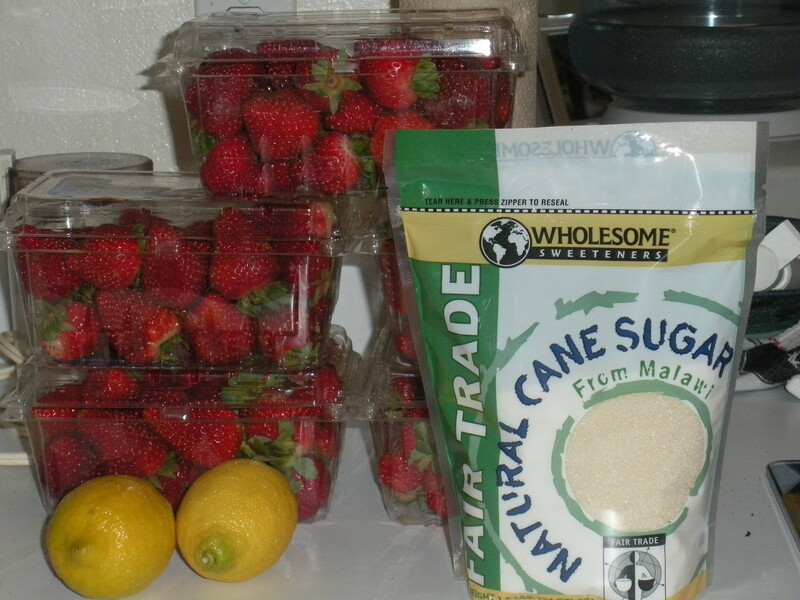 Add the sugar and lemon juice, stirring constantly until all of the sugar is dissolved. 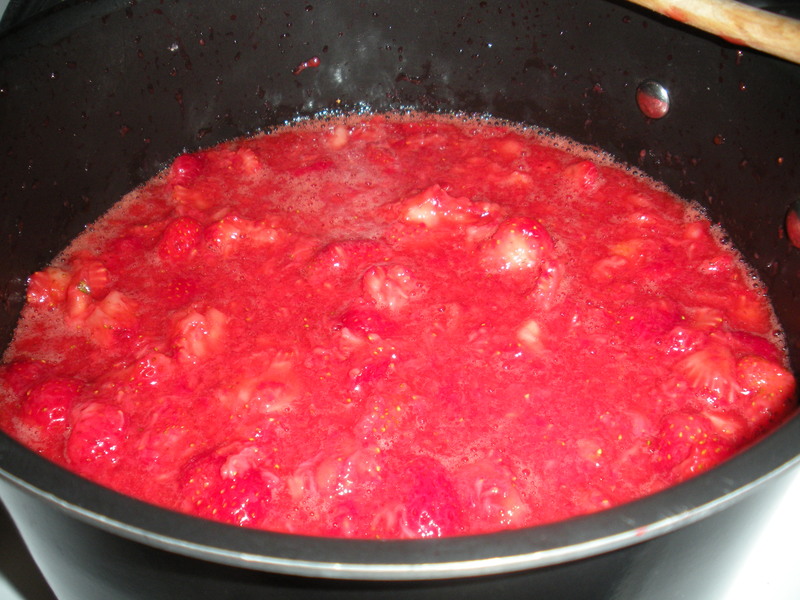 Bring the mixture to a boil, then cook for another 20 minutes or until the mixture thickens a bit and slightly gels. 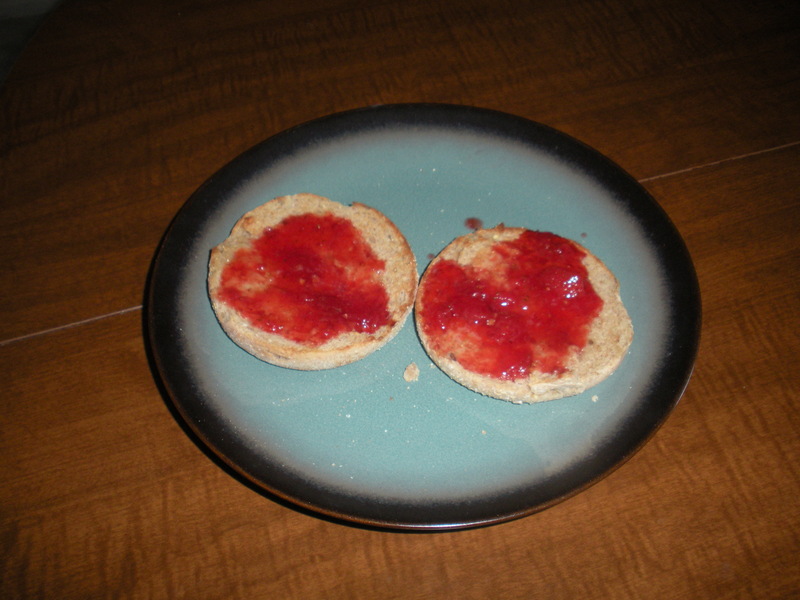 A good way to check if your jam is the right consistency is to place about 1 teaspoon of jam on a plate that has been sitting in your freezer for at least 30 minutes. Wait 30 seconds and then tip the plate. If the gel easily slides down the plate back into your mixture, continue cooking until it is the right consistency (thanks, Erin Bried, for the useful tip!). 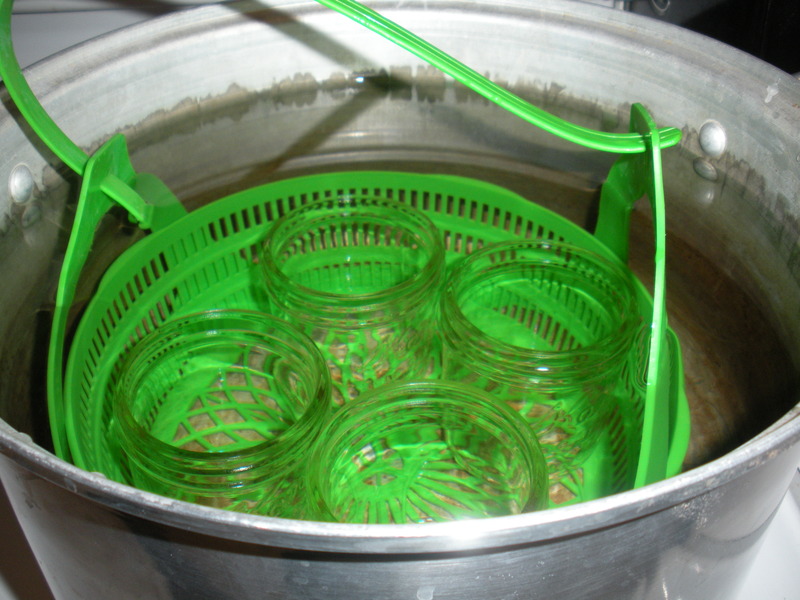 Remove the glass jars from your canner with your tongs, dumping the water back into the pot. 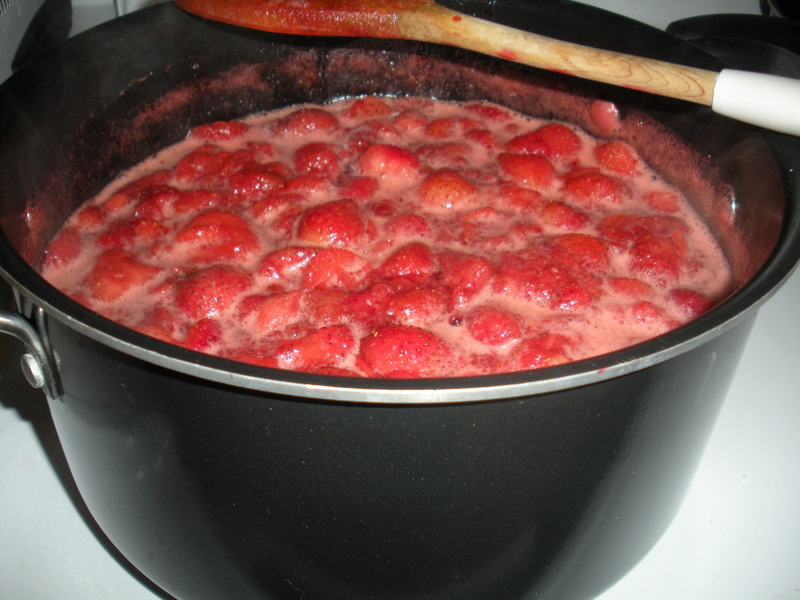 Carefully ladle the mixture into the jars, leaving 1/4-inch space at the top. Wipe the top of the jars with a clean cloth or paper towel to remove any goo that could impact the sealing process. Place the lids on top and tighten with the rings. 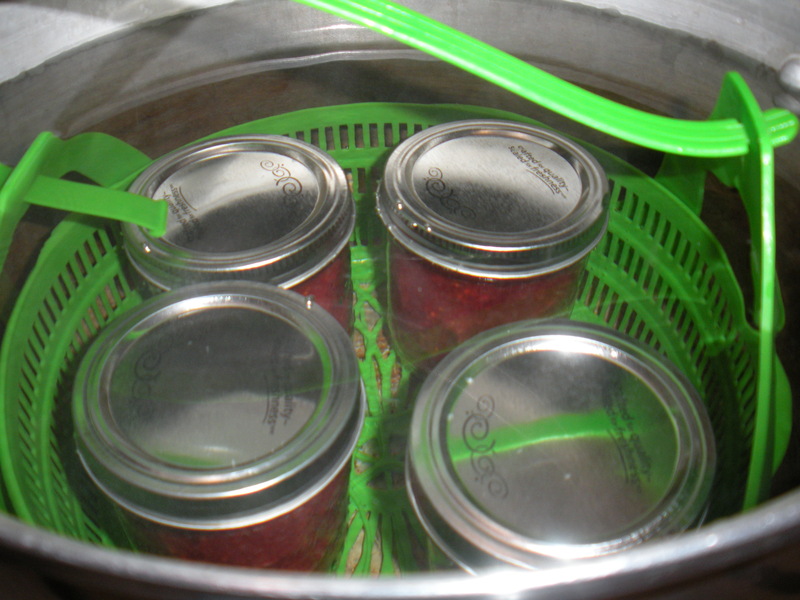 Place the filled jars back into the canner, ensuring they are still covered by at least one-inch of water. Cover the stockpot and bring to a boil. Once boiling, continue to cook for 5 minutes (10 minutes if you live between 1,000-3,000 feet elevation and 15 minutes if you live above 3,000 feet elevation. Then, turn off the heat and let your jars sit in the pot for another 5 minutes. 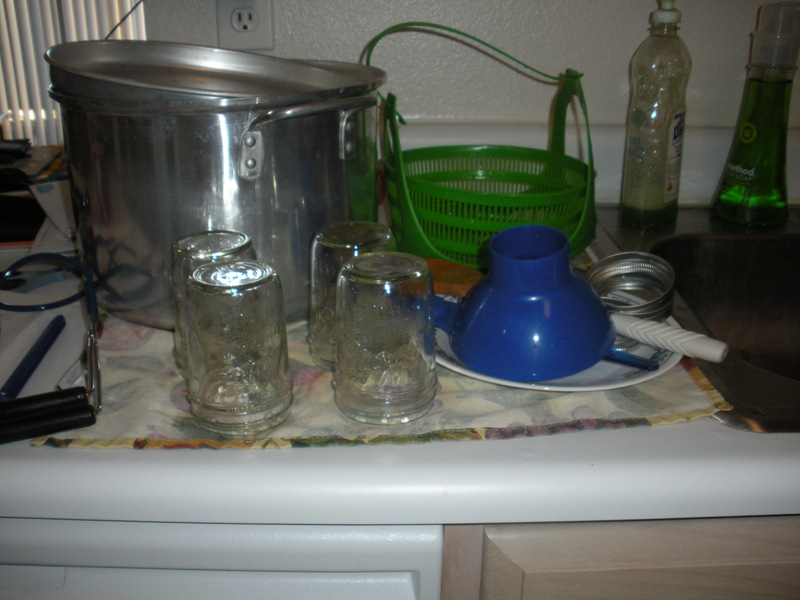 Carefully remove the jars with your tongs and cool on a wire rack or potholders for 12-24 hours. If the jars have sealed properly, the lids will not flex when pressed (after they have cooled a bit). Properly sealed jam can be stored in the cupboard for up to one year. 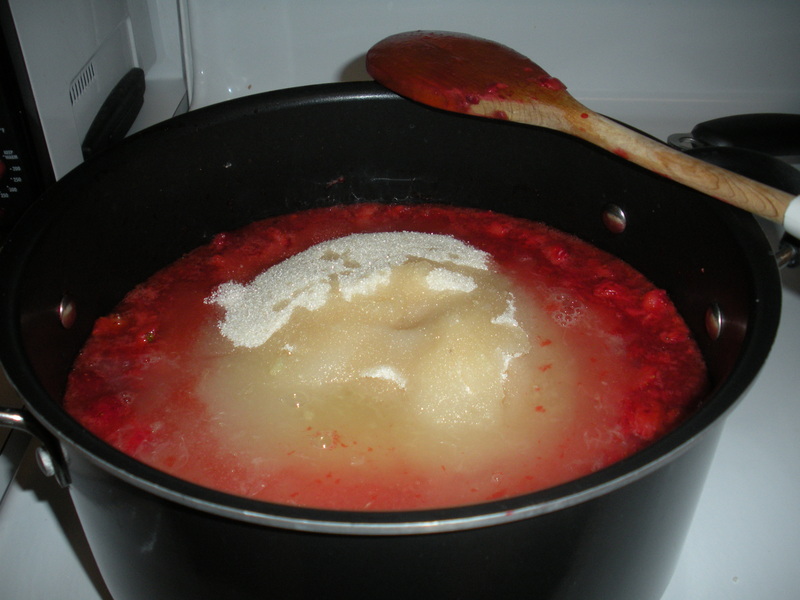 If you have any leftover jam, , or if any of your jars did not seal properly, refrigerate immediately and consume within 3-4 weeks. 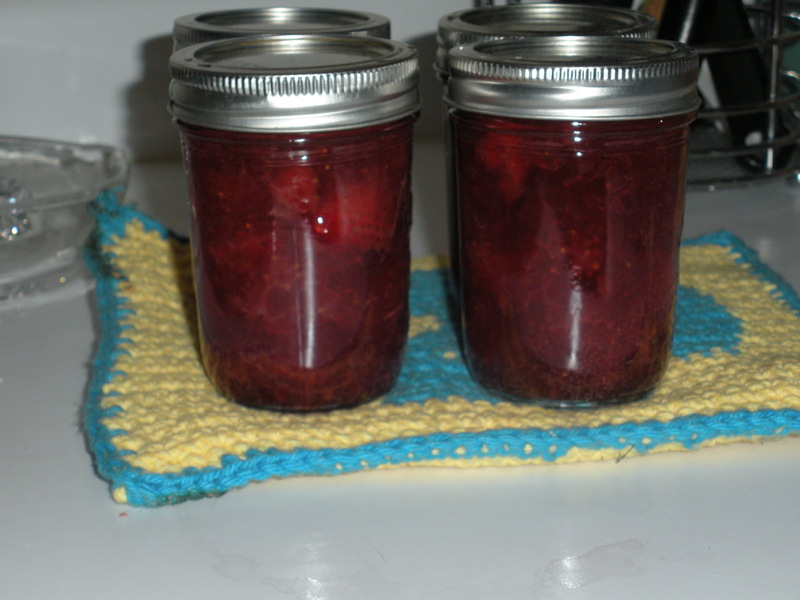 This entry was posted in DIY, The Simple Living Experiment and tagged Canning, food preservation, Jam Recipes, recipes, Strawberries. Bookmark the permalink.